Less than a year after an asteroid caused extensive damage over Russia, a trio of reports describes the source of the space rock, and suggest that the danger of similar asteroids is greater than expected. As the 10,000-tonne Chelyabinsk asteroid scorched through the atmosphere at 19 kilometers per second, it created an “airburst” that released about 500 kilotons of energy — comparable to a mid-size nuclear bomb. A meteor streaked across the sky above Chelyabinsk, Russia, on Feb. 15, 2013. The blast wave from the small asteroid, about 19 meters across, left a path of destruction and 1,000 injuries on the ground. The airburst was the largest asteroid impact over land since 1908, and was briefly 30 times as bright as the sun. In a survey, 2 percent of observers reported a sunburn, and 28 percent felt warm watching the sky show. The asteroid broke up 45 to 30 kilometers above the Earth, producing smoke and a dangerous shock wave. The breakup probably prevented massive damage on the ground. 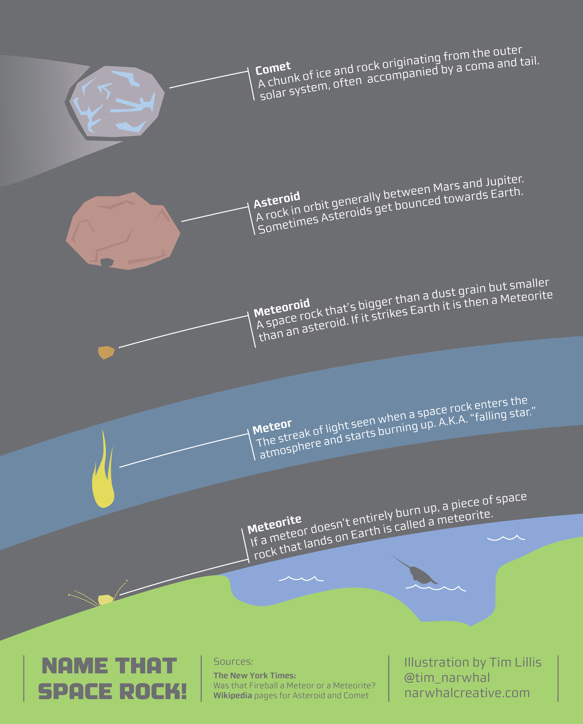 Asteroids are rocks that orbit the sun and occasionally smash into planets. A large impact would hurt worse than a month-long toothache: About 65 million years ago, an asteroid caused environmental havoc, and the dinosaurs went extinct. 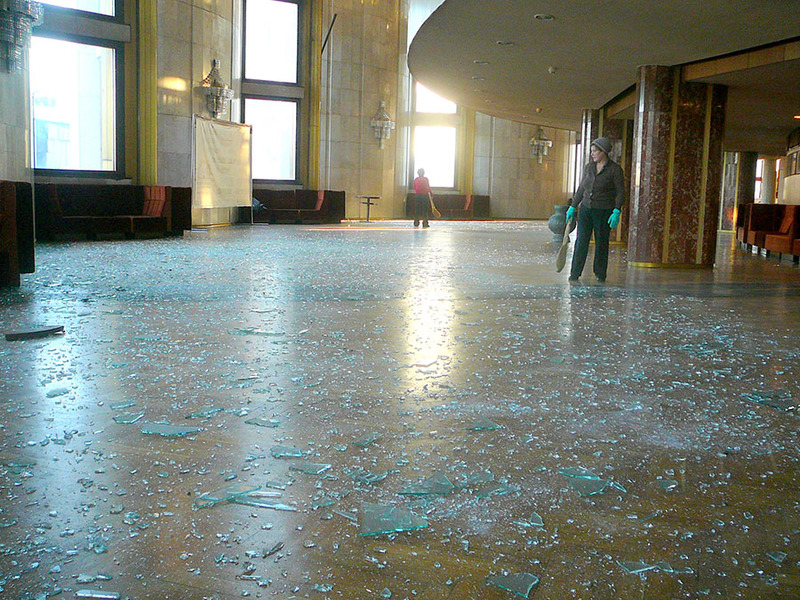 The asteroid shattered windows in the foyer of the Chelyabinsk Drama Theatre. It was the asteroid’s shock wave that broke thousands of windows, injuring an estimated 1,000 people in and around Chelyabinsk. Those broken windows, in turn, helped map the intensity of the shock wave for the new studies. Beyond a better picture of the shock wave, the studies suggest that mid-size asteroid impacts may be more common than presently expected, based on telescopic surveys of asteroids. Larger asteroids reflect more light and are easier to see, and so virtually all of the real killers, sized at least one kilometer across, are known. “We can say that none of them is going to hit us in 100 years,” says Brown. Courtesy of Eduard Kalinin (site) and Andrey Yarantsev (meteorite). 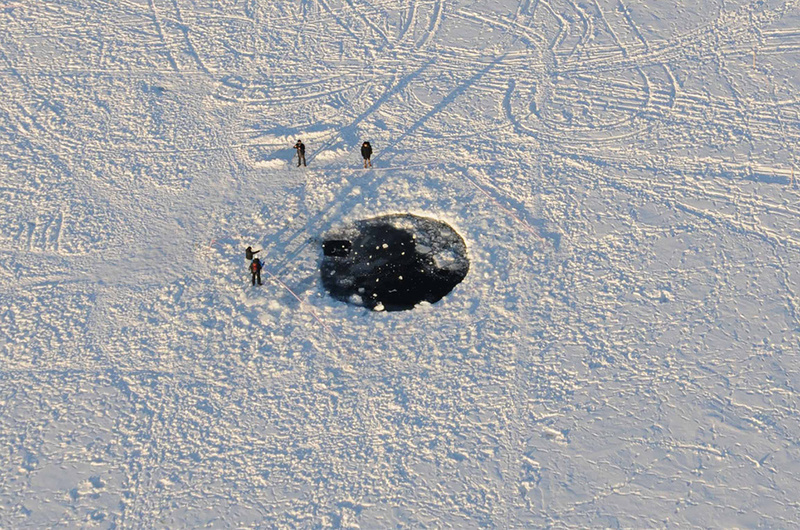 The biggest surviving chunk of the Chelyabinsk meteorite blasted this hole the ice of Lake Chebarkul. Roll over to see the piece retrieved from the Lake. It’s now at the Chelyabinsk State Museum of Local History. Much less clear is how many smaller asteroids threaten Earth over that period. Telescopic surveys of smaller rocks — say a few tens of meter across — are less reliable and complete. 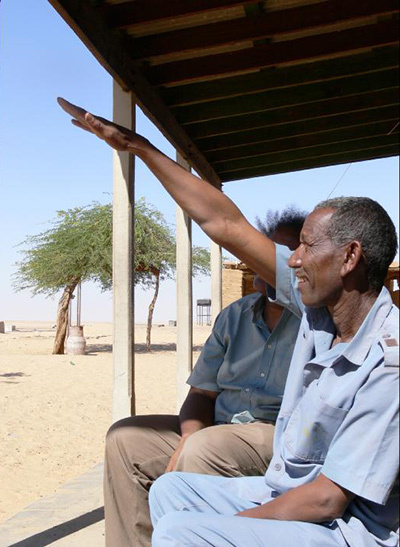 Eyewitness Abdel Moniem Magzoub, who saw Asteroid 2008TC3 enter the atmosphere, describes the fireball in the sky to interviewer Muawia Shaddad of the University of Khartoum, Sudan. On Oct. 7, 2008, the bright light from the first explosion woke Magzoub. He saw the fireball, and a second, smaller explosion. But the record of smaller asteroid impacts is getting fleshed out, thanks partly to the surveillance systems established to detect nuclear explosions. Significant asteroids have recently hit Peru (2007), Sudan (2008), and Indonesia (2009). On a larger scale, the Tunguska asteroid laid waste to a large swath of Siberian forest in 1908, with an airburst equal to three to 15 megatons. (Too bad nobody was lurking with a cellphone video camera — which provided much of the data recently analyzed at Chelyabinsk…). A one-megaton airburst near South Africa in 1963, “Was the sort of thing you would expect once in 450 years, if the telescope numbers are right,” Brown says. “While each of these is a one-off event, taken as a whole, we think there is evidence to increase the number of objects over the telescope estimate, in the 10 to 30 meter size range,” Brown says. 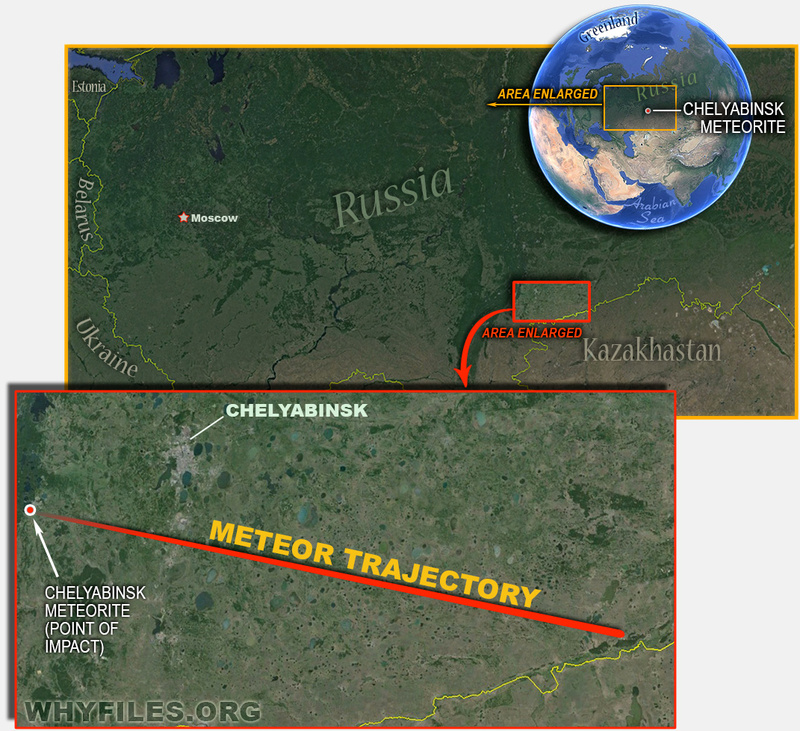 “We may have to expect that things like Chelyabinsk will be more frequent” than telescope surveys suggest. But instead of trying to catalog the millions of objects in the 20-meter size range, Brown talks about a “terminal detection system” that could issue a warning a few days before impact. It sounds like Star Wars, but the timing and location of a 2008 impact in Sudan was predicted 21 hours before the asteroid fell harmlessly in the deserted desert. Although plans to blast asteroids with nuclear bombs or nudge them off course may eventually work, a realistic warning before a small impact could allow time to evacuate a city — or at least to stand clear of windows.